Mental health issues are a growing concern that you or a loved one might be facing. Psychiatric professionals, public figures and politicians are all taking notice of the increase in mental health issues today. These problems are valid and worth taking the time to treat. Learn what you can do to help conquer mental health issues because chances are that you or someone whom you know is suffering. The World Health Organization places depression high on the list of chronic diseases. It is believed that if the depression rate continues to increase, then it might overtake heart disease and cancer as the most common chronic disease. While mental health problems can affect just about anyone, certain groups are more likely to experience a specific type of mental illness. In the US, women are more frequently impacted by mental health struggles than men. Young people in college are more likely to experience anxiety or depression than other age groups. These issues may arise for any number of reasons. Work stress, family issues or moving to a new location, especially a new country, can increase the likelihood of experiencing a mental health problem. At times, students cope with mental health issues brought on by the need to compete with their peers or pressure from their parents to make good grades and get into a certain college. To make matters worse, teens are often afraid to be looked down on by their friends if they talk about their issues. Sometimes, they avoid going to therapy for these reasons or because their parents do not support the idea of getting help. Some parents believe that a history of attending therapy sessions will prevent their child from getting into a good college or achieving career success. From celebrities to law makers, people with the ability to make changes in the way that mental health is perceived and treated have been making their voices heard. It seems that in the US and abroad, it is becoming more common to hear celebrities speaking out about their own struggles. One of the many campaigns for mental health was bolstered when Lady Gaga and Prince William had an open discussion about the topic. 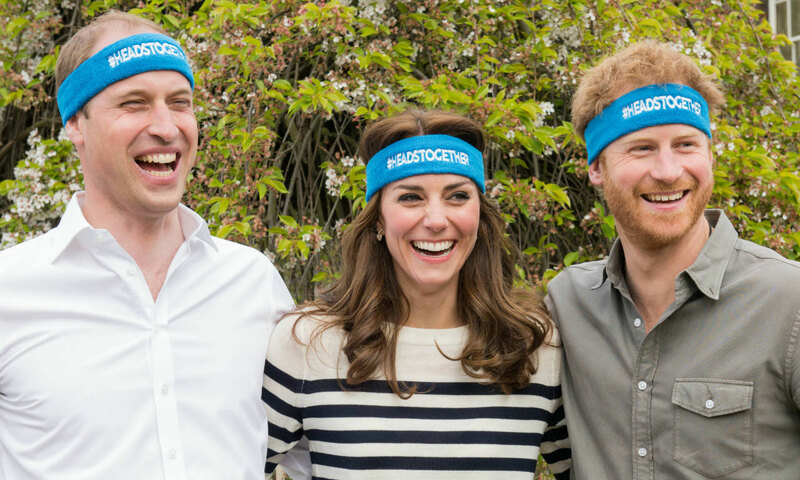 Lady Gaga praised Prince William’s Heads Together campaign (see pic below), and they both agreed that it is important to address mental health issues rather than ignore them because otherwise, this can lead to more problems. The two expressed an interest in working together to reduce the stigma around mental health. A quick Internet search shows that many celebrities and public figures are taking an interest in improving mental health support and working to get rid of the negative stigma. Law makers can set policies in motion that actively affect the mental health profession. A large portion of the 21st Century Cures Act that the US Congress approved in 2016 focuses on mental health and substance abuse disorders. This legislation seems to be an indicator of the increasing mental health and substance abuse issues that need to be addressed. The Cures Act also recognizes the need to integrate mental and physical health needs and calls for co-operation across different agencies. Adults are not the only ones suffering from mental health disorders – there is a growing concern for children and teenagers as well. Often, parents or teachers are the first ones to notice signs that their child or student is suffering. Excellent facilities such as Newport Academy focus on helping children and teenagers. They offer treatments ranging from music therapy to art therapy, and their staff members are specially trained to reach those affected by mental health as well as addiction. Mental health issues and substance abuse are often interconnected. Because of this, it is important to address the underlying psychiatric needs of those affected by drug addiction. This often goes hand in hand with tackling the nation’s growing opioid addiction epidemic. People who experience mental and emotional difficulties often look to medicate themselves with whatever substance is available to them, but with the right professionals on their side, they can instead focus on safe forms of treatment and begin working on their emotional needs. Mental health disorders affect many people, from adults to children. Sometimes, you or a loved one might be afraid to seek help due to the negative stigma surrounding these issues. Don’t put off getting help, however, because this typically makes things worse. Keep in mind that with the right professionals on your team, you can improve your mental health situation and live a happier life. Simply educate the parents as to what we mean by these 3 words, chronic, traumatic stimulations. Parents have to realize what these are, stop taking infants everywhere, stop causing traumatic stimulations, always be mind full that the child is young even an infant and that many stimulations today are inappropriate and harmful to young and even older children; prevents Disorders. I have being promoting this for years explaining how these work; writing free unread iBooks etc. I don’t have time to promote them, even receiving nasty replies and having my comments deleted. I even gave up commenting as it was a waste of time. Now I will try again. Don’t be nasty to children; have a great day. may catch you later. Or educate people who continue to voice it. Which is your choice?